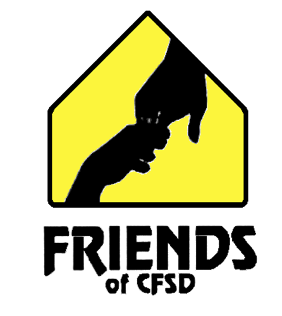 FRIENDS of CFSD | FRIENDS, Foothills Residents Involved in Educational Needs of District Students, is a group of district parents and community members that advocates for the passage of CFSD election issues by providing information to voters. THANK YOU FOR YOUR COMMITMENT TO OUR CHILDREN’S EDUCATION FOR THE LAST 25 YEARS. VOTE “YES” TO CONTINUE THIS VITAL SUPPORT! VOTE “YES” ON Prop 464! The Catalina Foothills School District has called a special budget override election seeking voter authorization to continue the current 13.3% budget override previously approved by voters. Renewing the existing override will not create new taxes. The state’s severe budget crisis resulted in a reduction in District funding by more than 20% since 2008. Although a fraction of that $5 million reduction will be restored this year, overall funding remains far below the 2008 level. Increases in class size, staff reductions and loss of educational programs may occur if the override dollars are not maintained. CFSD voters have consistently approved overrides since 1984. In return, we have continually graduated students who are college and career ready; who possess the critical thinking and technological skills necessary to compete in and contribute to our global economy. Continued investment in our students is key to their ability to thrive in their lives and careers beyond the CFSD experience. We are grateful for your support that has been integral to the preservation of our excelling schools and the value our schools add to our community of homeowners. We ask you to continue that support by voting “Yes” to renew the 13.3% K-12 override. THANK YOU FOR YOUR COMMITMENT TO OUR CHILDREN’S EDUCATION FOR THE LAST 25 YEARS. VOTE “YES” ON 464 TO CONTINUE THIS VITAL SUPPORT!